L.A. County and regional water board seeks input for site-specific planning. MARINA DEL REY — A state and regional effort to reduce dissolved copper levels in the waters of Marina del Rey could be entering another phase as the California Water Boards seeks to develop site-specific objectives for Los Angeles County’s Total Maximum Daily Load (TMDL) goals. The Los Angeles Regional Water Quality Control Board is hosting a public workshop, Aug. 23, to initiate the development of site-specific objectives for dissolved copper in Marina del Rey Harbor. The Aug. 23 workshop will be held in Downtown Los Angeles. Developing such site-specific objectives would help state and county officials track and reduce dissolved copper levels in the harbor by March 2024. 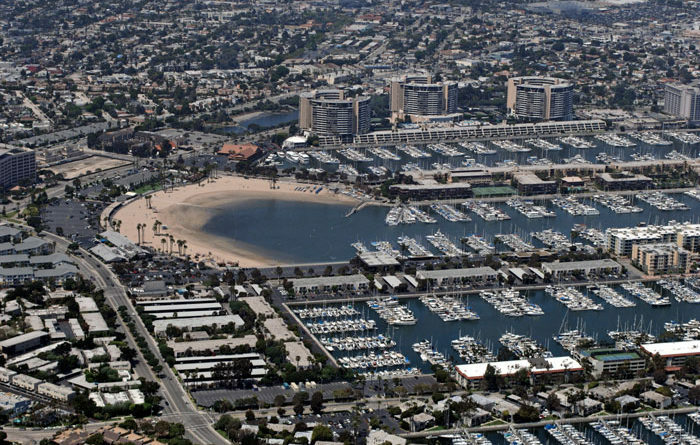 The development of site-specific objectives is part of the overall strategy to reduce copper loads in Marina del Rey; other strategic steps include continuous research efforts and execution of pilot projects. Water Boards staff released a policy justification report on site-specific objectives for dissolved copper goals in Marina del Rey in April and stated county officials must implement multiple plans in order to meet their TMDL mandate. State, regional and county staffs are expected to build public awareness of copper’s effects in the water and gain support of alternative paint use and best management practices. The Aug. 23 public workshop, according to the Water Boards, would ultimately inform what actions state and county officials need to take to reduce copper loads in Marina del Rey’s waters to mandated levels by 2024. “The site-specific information will help the County to develop and identify more effective implementation options to reduce dissolved copper discharge from boats in [Marina del Rey] Harbor,” Water Boards staff stated in the policy justification report. A 2014 mandate by the regional water board required Marina del Rey to reduce copper loading by 85 percent within 10 years. County officials have reportedly been encouraging Marina del Rey boaters to use non-toxic anti-fouling paints on their respective hulls as part of an effort to reduce copper discharge from recreational vessels. Part of the county’s efforts would include a pilot program aiming to reduce copper discharge from “official” vessels, such as harbor patrol boats. L.A. County’s pilot program would specifically monitor the effectiveness of non-copper paints on Sheriff’s, Department of Beaches and Harbors, and L.A. Waterkeeper boats, survey boaters about what worked or didn’t work with anti-fouling paints, and analyze the financial and logistical constraints of converting boats to alternative paints at local and regional boatyards. The county’s pilot program includes plans to convert 100 of its “official” vessels to non-copper paints. Marina del Rey has been subject to a TMDL mandate since at least 2005, with a revised mandate going into effect in September 2014. Restrictions on copper load allocations from Marina del Rey’s boats must be developed by Oct. 16. Los Angeles County must achieve an 85 percent reduction of copper loads (from baseline) by March 22, 2024. The Water Boards’ policy justification report acknowledged the proportion of Marina del Rey boats with elevated leach rates (due to use of copper paint) was unknown. However the report continued higher concentrations of copper would likely exist in Marina del Rey’s waters based upon a likely use of highly concentrated copper paints in Southern California. Boaters, according to the Water Boards’ April policy justification report, have used copper-based paints to protect hulls from excessive fouling. The Aug. 23 public workshop will start at 10 a.m. and be held in the Pacific Ocean Room of the Los Angeles Water Boards office, 320 W. 4th Street, Los Angeles 90013; the Pacific Ocean Room is on the second floor. Contact Shana Rapoport at 213-576-6763 or shana.rapoport@waterboards.ca.gov for more information about the workshop. Those who cannot attend the workshop in person can still participate by teleconference. Requests for teleconference participation must be made by Aug. 9 (two weeks prior to the workshop).